The knot detail here looks like it would be quite flattering. 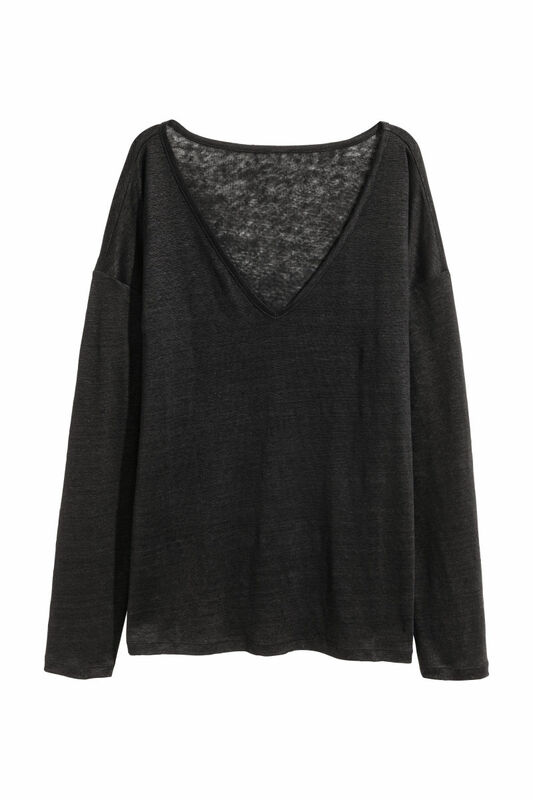 A velour V-neck that’s a nice stand-in for a sweater on days you’re in the mood to go a bit more casual. 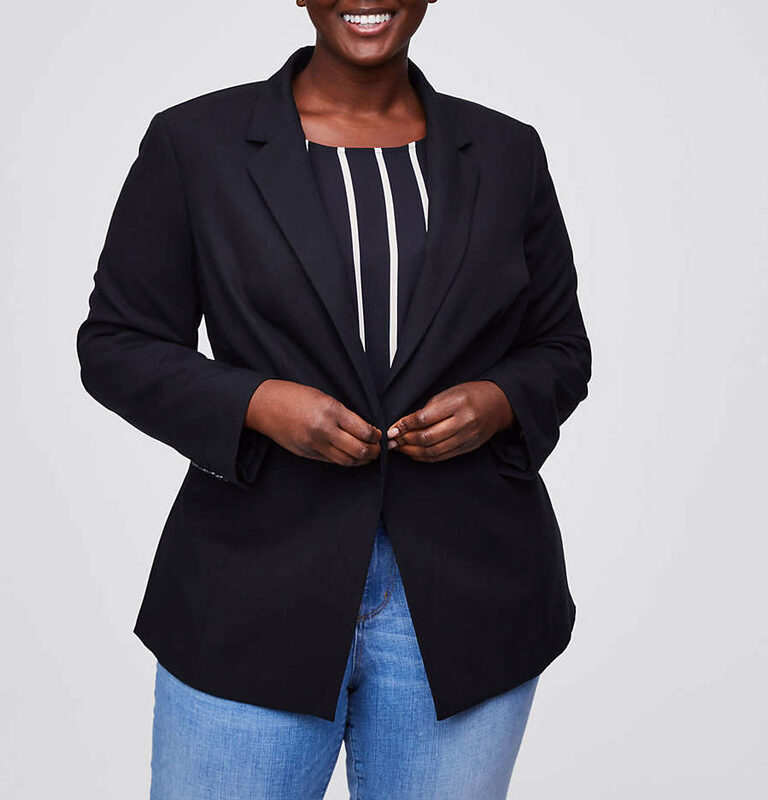 An easy, slouchy blazer for throwing on whenever. 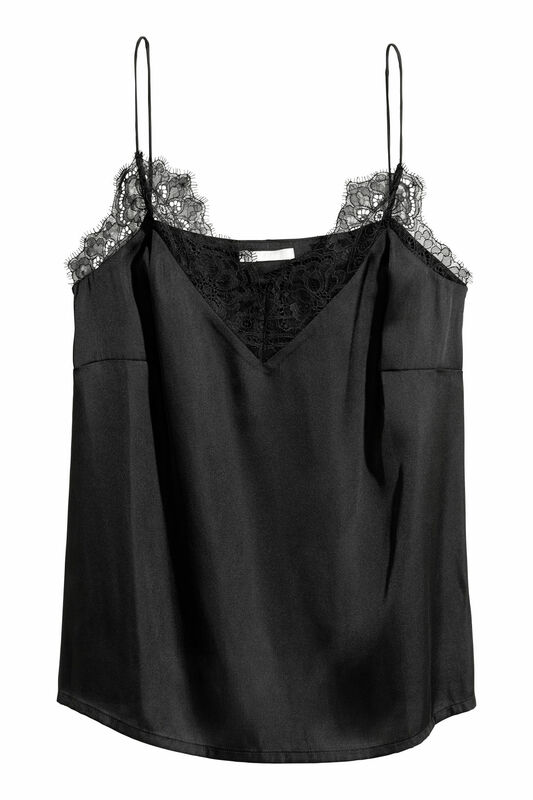 A delicate cami for wearing under sheer blouses or even on its own if you’re feeling daring. 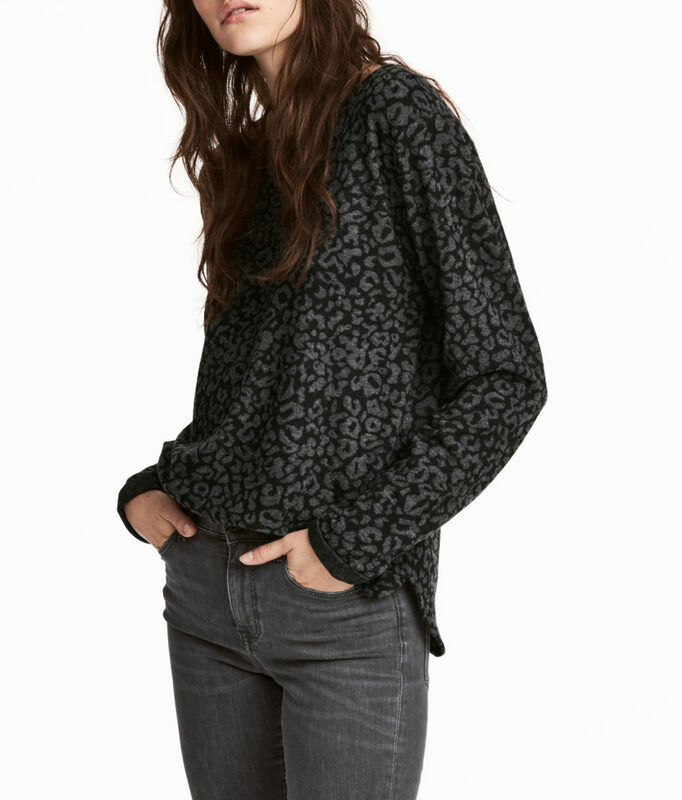 I like the fluid sleeves on this top, and the becoming neckline. 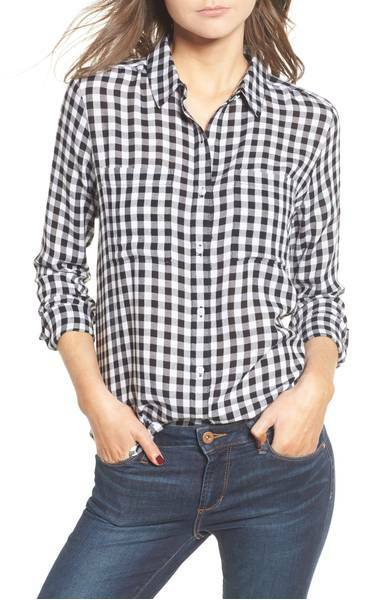 Black and white gingham is just kind of fun. These chinos are so nice and crisp. Just a good silky blouse. 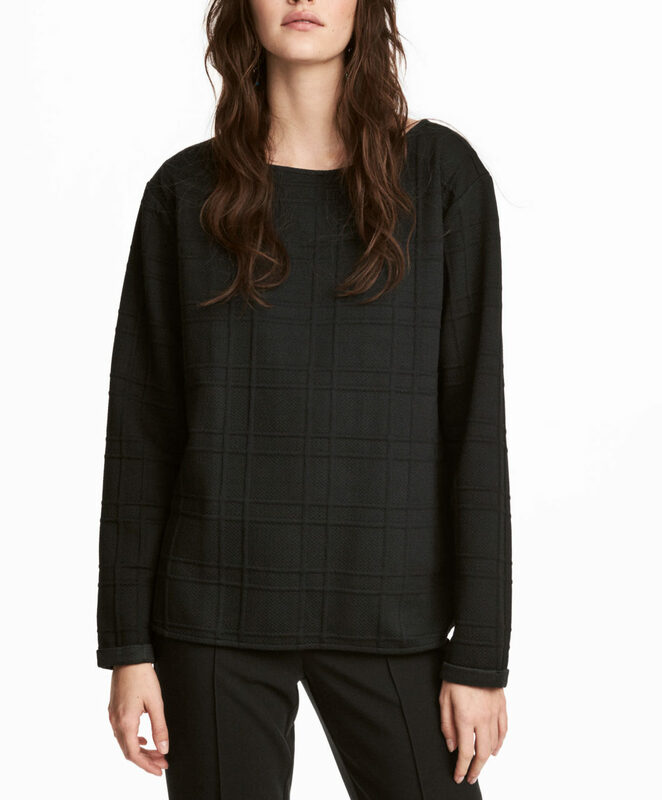 You’ve kind of got to click through to totally see it, but this blouse has a cool geometric thing going on that I like. The buttons on this cami dress it up a little. The waist here is just so pretty and feminine. 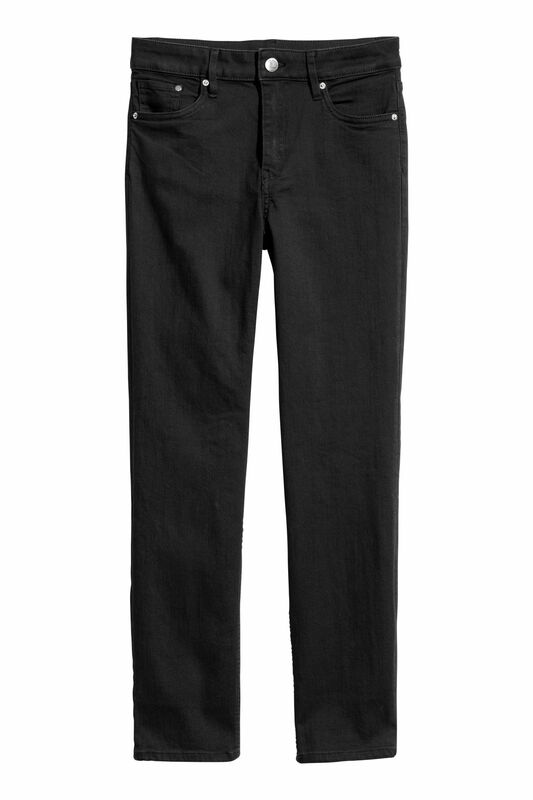 A good classic pair of super-black skinny jeans. This shirt has a cute little floral print. 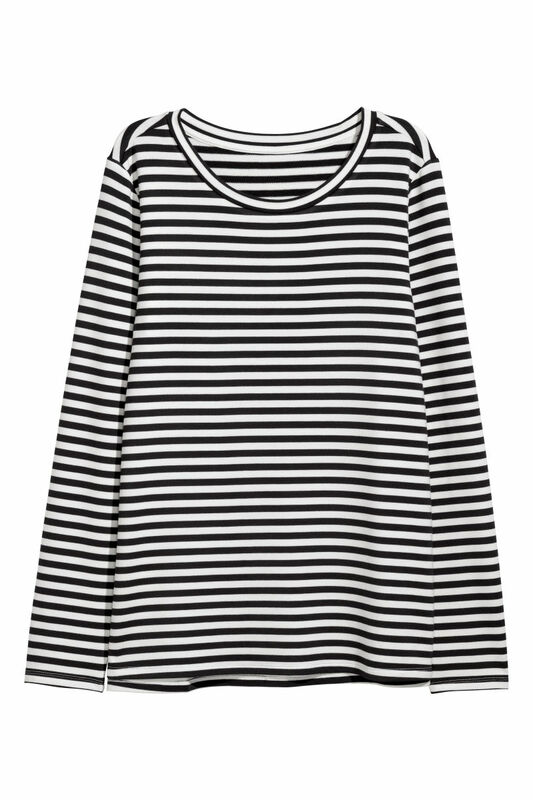 A good long-sleeved black-and-white striped tee is one of my wardrobe standbys. 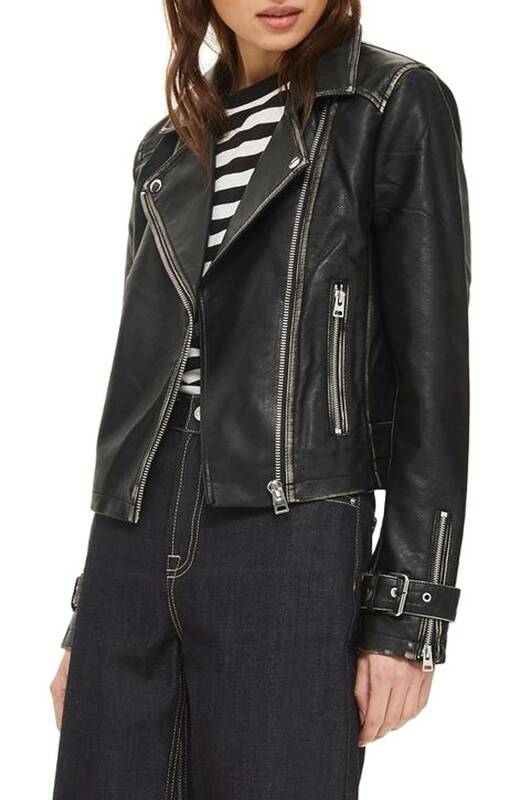 This moto jacket is obviously—considering the price—faux leather, but it looks pretty convincing. 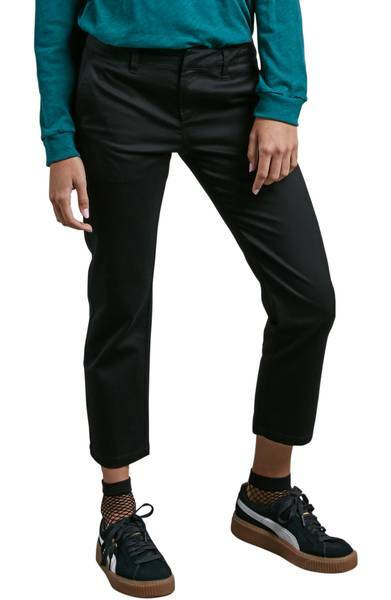 A solid pair of work pants. 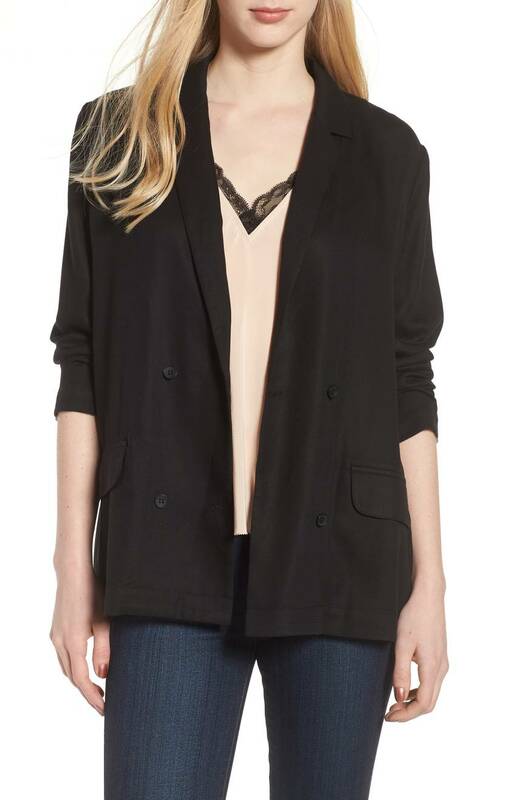 A thin cardi like this is so good for layering. I wear mine constantly. 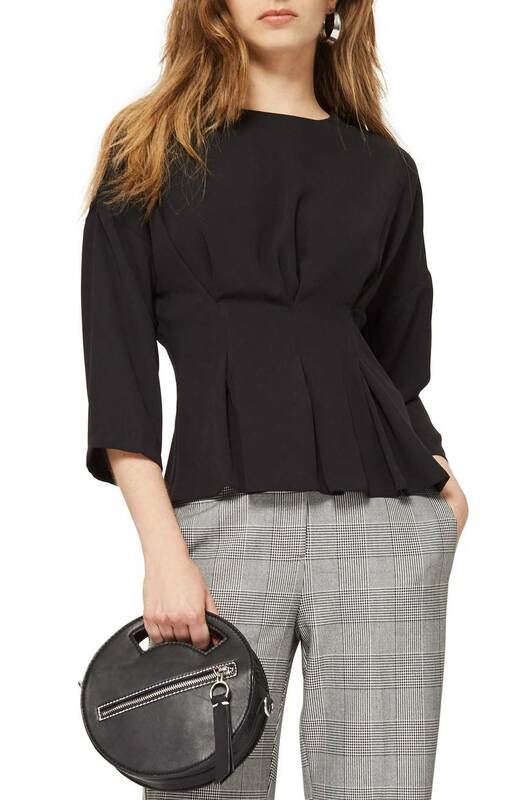 This high-neck blouse is quite elegant, I think. I love how linen tees drape, and they’re typically a tiny bit sheer and I like that too. 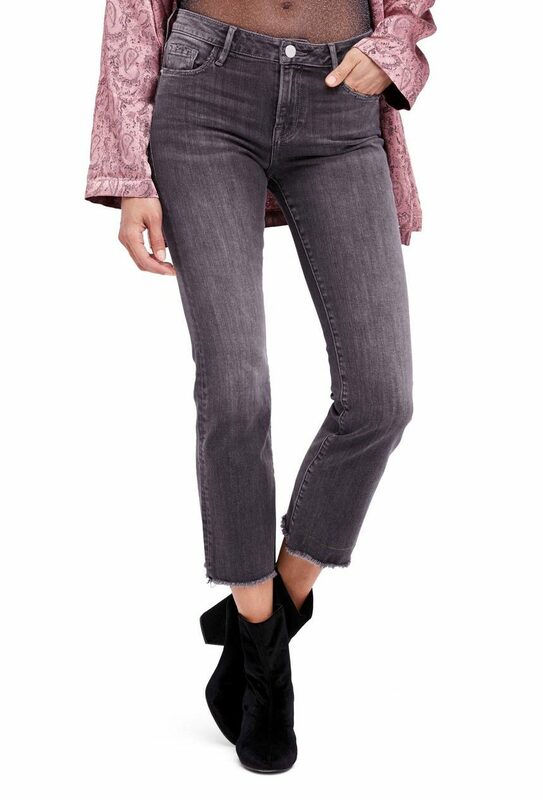 And this has a very nice deep V.
These jeans are nicely un-distressed. 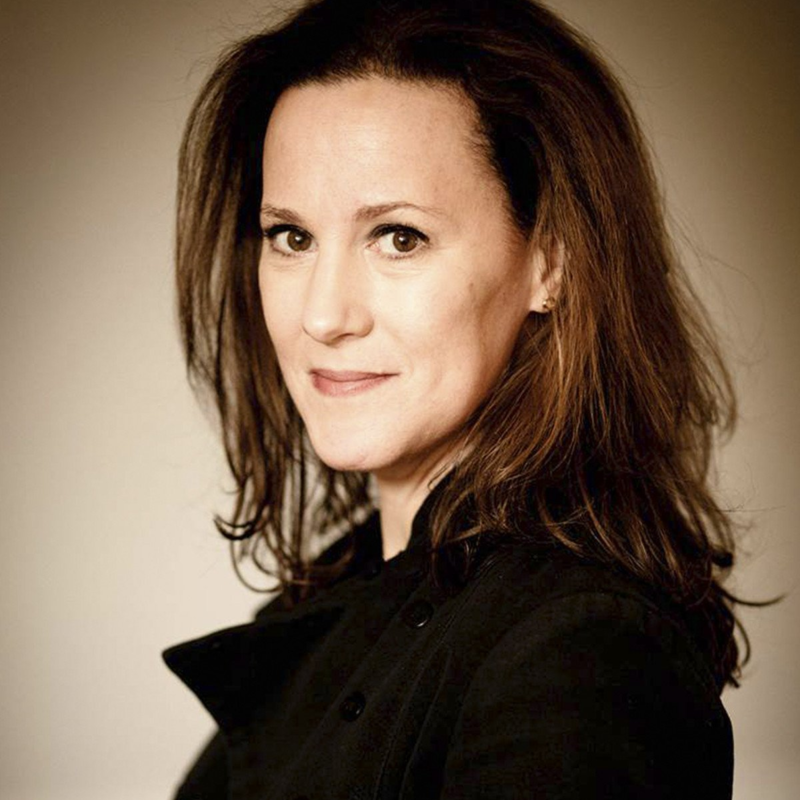 Just a sharp little blazer. The leopard print here is pretty irresistible. I like how faded out these jeans are. 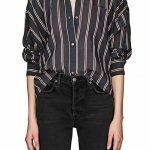 Here is a post on cute tops under $100. I love linen tees. 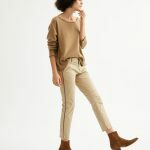 It’s all I want to wear lately, probably because I live in Socal. 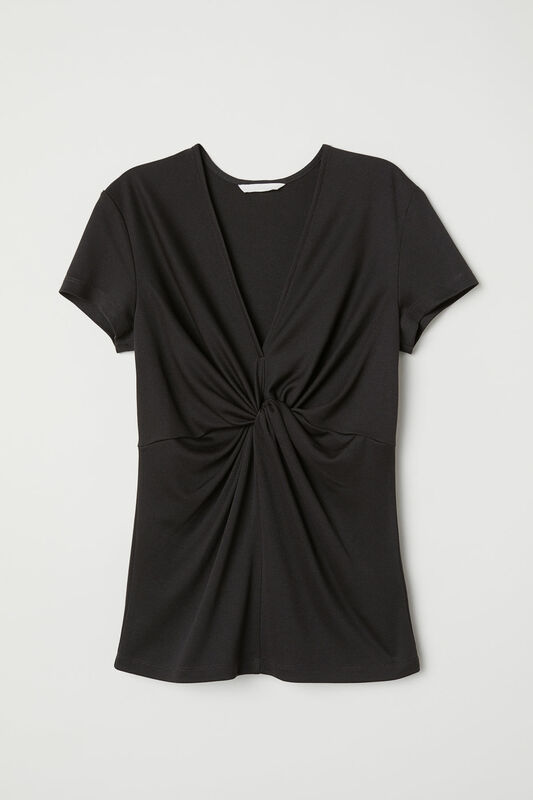 The first top is similar to a black one I own. 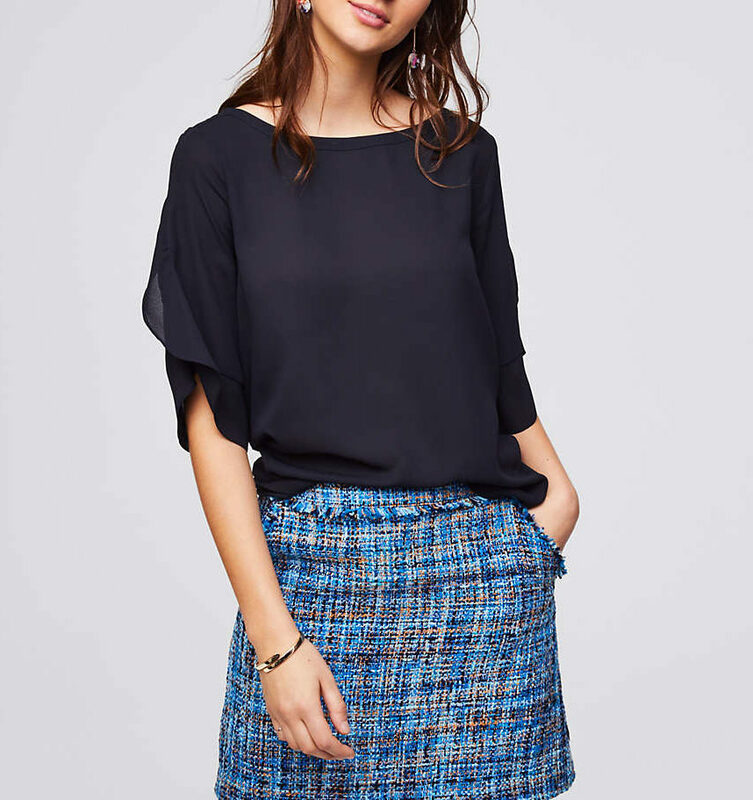 Knot tops are very flattering when they fit just do. Vavoom! Super impressed that the H&M top is 100% linen. Tempted to order it in all three colors! That moto jacket is great looking. (Better than leather imho.) I’m jumping in w. this one. That moto jacket is great looking. 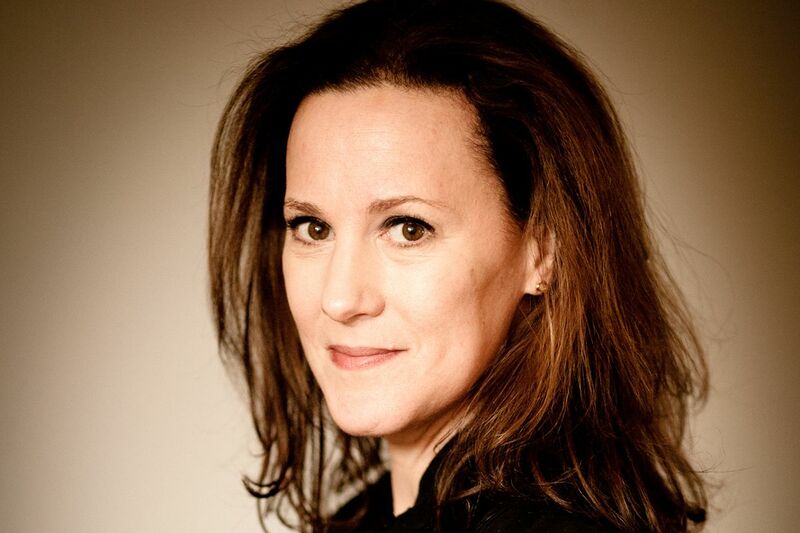 (Better than leather imho.) I'm jumping in w. this one. I love black! It stays my favorite color! 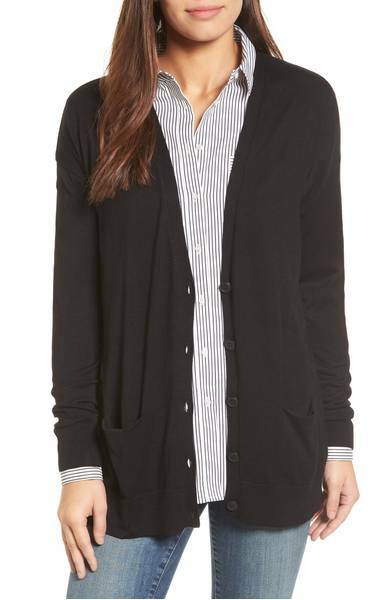 I like the cardi and the striped tee, but I truly don’t NEED anything right now. Trying to practice the want vs. need thing. Struggling.